PHOENIX – When you think of Mexican cuisine, tacos de carne asada (beef), carnitas (braised pork) and birria (spicy goat stew) – all meat dishes – come to mind. Vegetables and herbs, on the other hand, more than likely don’t. A local vegan couple, however, are working to turn that around. Jose and Leticia Gamiz converted to veganism 3½ years ago when they became aware of animal cruelty in the food industry. Her husband, who was born in California, said he never really cared about animals because growing up his family didn’t see animals as equals. That changed, however, when Jose found a German shepherd and took it home. The love he had for his dog sparked a need for change. “I loved this animal, and once I loved him, then I was like, ‘Well, what about cows and pigs, and what about chickens?’ From there it just kind of snowballed into me really changing my lifestyle to where my food choices didn’t cause suffering to other living beings,” he said. Leticia, who is from Veracruz, Mexico, said when she and her husband couldn’t find a vegan restaurant that served their favorite Mexican dishes, they began to improvise with meals at home. “We substituted meat and dairy products with alternative ingredients and realized it was delicious, and there wasn’t much of a difference in the taste,” Leticia said. 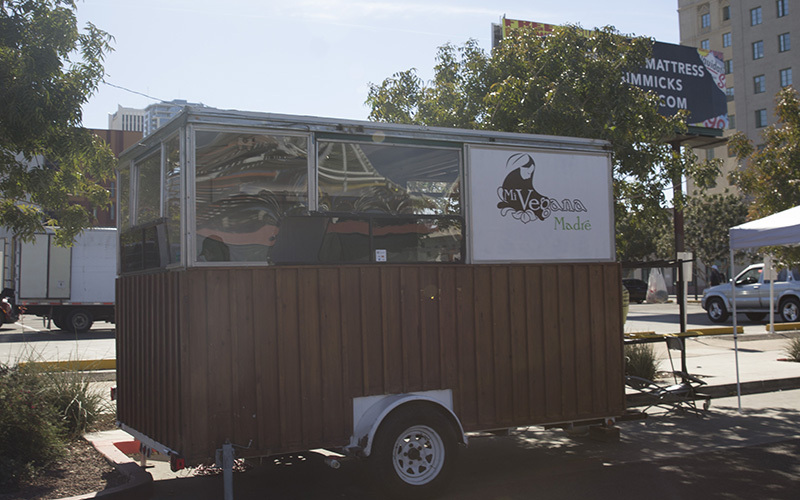 That idea inspired the Gamizes to hit the road with their food truck, Mi Vegana Madre. 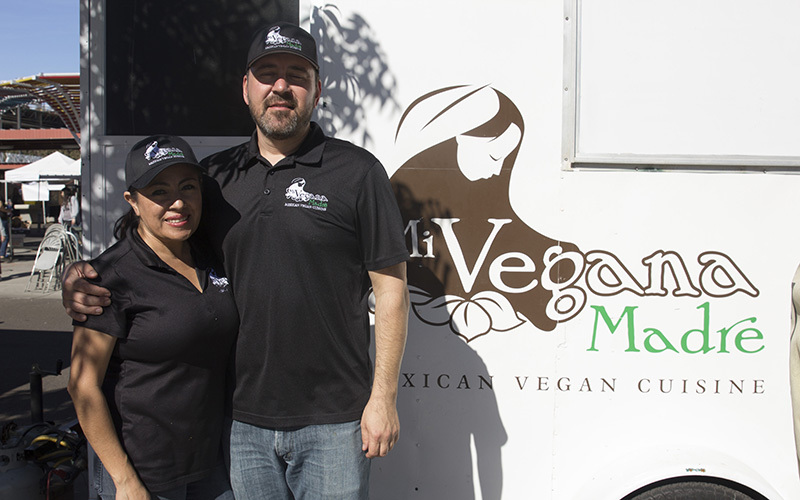 Leticia said many new customers say they tried Mi Vegana Madre out of curiosity. “‘If you wouldn’t of told us there was no meat in this, I would’ve never known,’ they tell us,” Leticia said. It’s a common misconception that meat is the centerpiece in Mexican cuisine, she said. Jose noted that meat, now a staple in Mexican cuisine, once was a luxury. His vegan cuisine reflects the cuisine’s true foundation, he said. 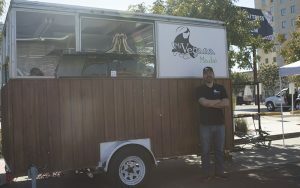 “If you really know your history, if you really know what Mexican culture and Mexican food is, you begin to understand that Mexican food here in the United States has become very meat-centric,” Jose said. “(Back then), they didn’t have enough (money) to always have pork and beef, the things that, now, we do have the luxury of having. Jose and Leticia said many people are skeptical about vegan food because they’re afraid to taste different things and are under the impression there aren’t many options other than salads. Mexican dishes the couple have gotten creative with include breakfast burritos, which contain tofu scrambled with onion, tomatoes, cilantro and pan-roasted potatoes, and their Taco Xiqueño, which is a hibiscus flower cooked in sweet mole. 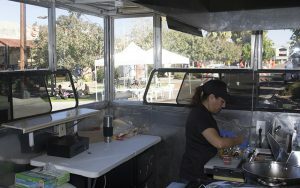 “We invite those who think Mexican food has to contain meat to try our vegan dishes,” Leticia said. Find out where Mi Vegana Madre will be serving next at Instagram.